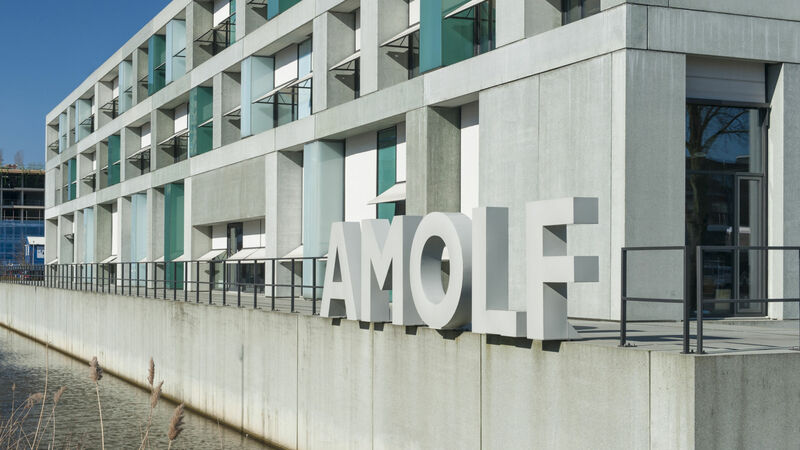 The Soft Robotic Matter group at AMOLF is looking for interns at the Master level that will work on the development and fundamental understanding of soft robots, i.e. robots made from an elastomeric body powered by air pressure. Soft robots show great promise for operating alongside human beings, for handling delicate and irregularly shaped objects, and for medical implants such as artificial muscles. For example, we are working in our group on a completely soft artificial heart. However, while soft actuators can be produced from materials that exhibit mechanical compliance close to that of human tissue, control of these actuators typically requires rigid elements such as electronic sensors, valves, and wires. This is a problem, because the connection between hard and soft elements is typically fragile and limits the lifetime of the system. To circumvent this issue, we are studying other modes of control that depend on fluidic logic. Specifically, we are developing new elastic elements that show specific non-linear behaviour and can be placed directly in the flow used to actuate the soft robot. By arranging these elastic elements in simple but smart configurations, the system can deliver exactly timed flows to individual actuators. This way we can control our soft robots without the use of electronics. We have multiple internships available for students who would like to help us understand and expand this approach and help us invent the next generation of fully soft robots. You will gain the numerical and analytical skills necessary to analyse fluid-driven soft robots. You will learn how to design and fabricate soft robots by casting and 3D printing techniques, and you will learn experimental techniques for measuring and characterizing the performance of fluid-driven actuators. The exact research line will depend on your background and interest, but there will be enough guidance from the members of the group with different specializations ranging from engineering to physics with additional technical support. The Soft Robotic Matter group is part of the Designer Matter initiative, a recently started research line at AMOLF. The group focuses on the design, fabrication and fundamental understanding of materials that are capable of autonomously adapting to – and even harnessing – variations in their environment. We aim to uncover principles that help us understand how non-linearity and feedback can result in the emergence of complex – but useful – behaviour in soft actuated systems. To this end, the Soft Robotic Matter group explores active and sensing elements to implement feedback capabilities and computation in soft architected materials, and uses a combination of computational, experimental and analytical tools. This line of research uniquely combines concepts from soft robotics and architected materials, providing new and exciting opportunities in the design of compliant structures and devices with highly non-linear behaviour. See also: www.overvelde.com. The internship is open to candidates from a range of backgrounds, including Engineering, Physics, Computer Science, electrical engineering, or a related field. Preferably, you have an experimental background, in combination with a sound appetite for analytical work. Experience with control and/or electronic circuit analysis is an advantage, but not required. Excellent verbal and written communication skills (in English) are essential. The internship must be a mandatory part of your curriculum. You have a nationality of an EU-member state and/or you are a student at a Dutch University. You must be available for at least 4, but preferably more than 6 months. At the start of the traineeship your trainee plan will be set out, in consultation with your AMOLF supervisor. You can respond to this vacancy online via the button below. – List of followed courses plus grades. Online screening may be part of the selection. Commercial activities in response to this ad are not appreciated.